If you want to make sure your engagement ring is fully protected against theft or loss, it's advisable to have it appraised and to take out an insurance policy covering the full value of the item. The appraisal will serve the important purpose of validating how much the ring is worth and the insurance policy will provide a way for you to have it replaced if it is stolen or lost, per the limitations and provisions of the policy you select. Many people don't understand the necessity of an appraisal. If your engagement ring is less than $500, perhaps you don't need it. The more expensive and unique the ring, however, the more vital this type of verification can be. An appraisal will let you know the ring's true worth. This is especially important if you purchase an antique or vintage ring, or create a custom ring. An appraisal is needed to insure your ring for the proper amount. An appraisal provides a "fingerprint" plot diagram that enables the owner to legally claim a ring recovered by the police. An appraisal is often necessary when you are traveling to another country and must pass through customs. An appraisal is a must if you may sell the piece in the future so you can verify its worth to potential buyers. 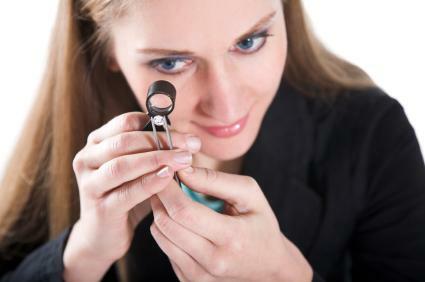 An independent engagement ring appraisal is one done by a certified inspector who is not affiliated with your jeweler. This way, their estimation of the ring's value is not biased. A reputable jeweler will agree that you can return the ring for the amount of purchase if the appraisal does not satisfy you. When you take your diamond to an independent appraiser, do not give him any background on the stone. Don't let him know where you are purchasing it, or what you paid for it. The point of getting an appraisal is to find out its true worth based on the independent inspection of the stone, setting, and other characteristics of the ring. You don't want to do or say anything that might sway the appraisal in a certain direction. Make sure the appraisal is as detailed as possible for insurance purposes. There are several types of policies for you to choose from, and these can vary depending upon the state you live in and the insurance company you use. A replacement policy guarantees a payment that will enable you to buy an identical ring with appropriate stone quality, design, setting, and metal should your ring become lost, stolen, or irreparably damaged. This policy would apply to current market values, meaning that even if the ring is more expensive now than when you originally purchased it, the entire replacement cost will be covered. This policy will replace the ring at its current value minus any depreciation that might have occurred. These policies are less expensive to maintain than other policies, and they are the most common choices. This is the most accurate and beneficial coverage you can purchase, although there aren't many companies that offer this type of policy. With a valued-at policy, you will receive the actual insurance amount, even if you choose to value the ring at higher than its appraised value. This may include your sentimental value or a "time and trouble" consideration if the ring were custom-made. While some appraisal agents also offer insurance policies, it is best to turn to an independent insurer for the same reason that you would prefer an appraiser unaffiliated with the original jeweler. This way you can be certain that there is no hidden bias designed to drive your costs higher, and you guarantee the best coverage for your ring. No one expects anything to happen to their engagement ring, but misfortunes do occur. Robberies, muggings, or simple accidents can destroy a ring, and having a proper engagement ring appraisal and insurance coverage can help recover some of the damages.